Footfall underlays are heavy (up to 3.6 kg per sq metre) because the rubber crumb they’re made from is dense. This density (mass) blocks airborne noise much more effectively than felt or foam. 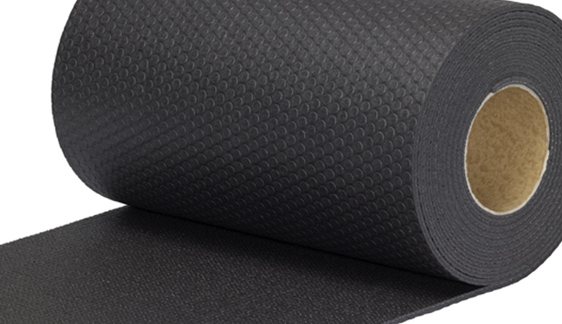 Rubber crumb is also resilient which, in addition to improving comfort and carpet life, absorbs and reduces impact noise. Unlike other materials, rubber crumb will not crush or ‘bottom out’. Even when subject to heavy point loading, Footfall will always perform. Softer materials are ineffective when crushed. By reducing both impact and airborne noise, even under heavy load, Footfall underlays transform the acoustic performance of floors, improving your building’s environment and making a positive difference to working conditions, visitor enjoyment, employee health and shopper comfort.